When I first met Amber & Adrian, they were still pretty early on in their pregnancy and I was thrilled to be documenting their journey into parenthood. Soon, this sweet couple will meet their new baby and I couldn't be more excited for them. There's something just so nostalgic about watching someone travel this journey into parenthood for the very first time. Those first-time-parent flutters are something that one can't ever truly describe. There's the moment when you first saw the positive pregnancy results, the moment you finally told your friends and family and the moment when you first figure out labor is here! 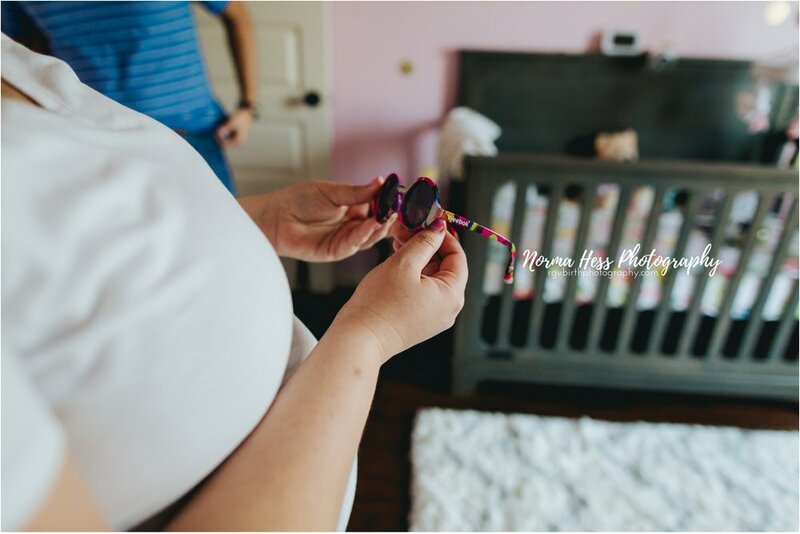 In between all of those high moments, there's the preparation... getting ready for baby is no easy task. The list tends to grow rather quickly, doesn't it? I remember the day we met up for the gender reveal photos like it was just yesterday. Baby A's room was a blank canvas. Filled with pink balloons and love. A few short months later, I came back for maternity photos to find this lovely nursery had transformed into a room straight out of Pinterest. The details spoke volumes... from the baby sunglasses mom kept from her childhood to the baby books stacked up and ready to be read to baby A before bedtime. 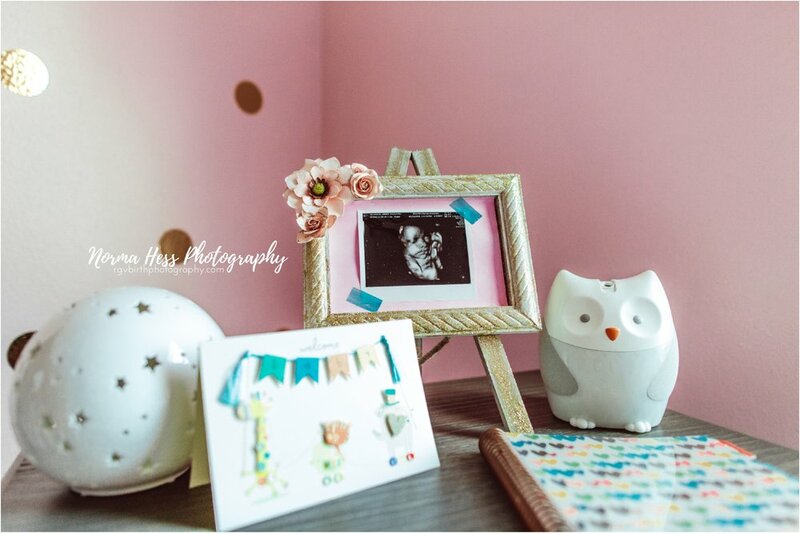 While I documented all these sweet details, we laughed and chatted about placentas and baby showers. This couple is so darn cute! I loved getting to know them a little more before we find ourselves in the birth space together. I can only imagine all the love this sweet baby girl will be showered with once she is earthside. Every smile on her parents' faces radiates love and I'm so excited for the journey this family is about to embark on! My camera gear is ready to roll, it's on-call time for this mama! 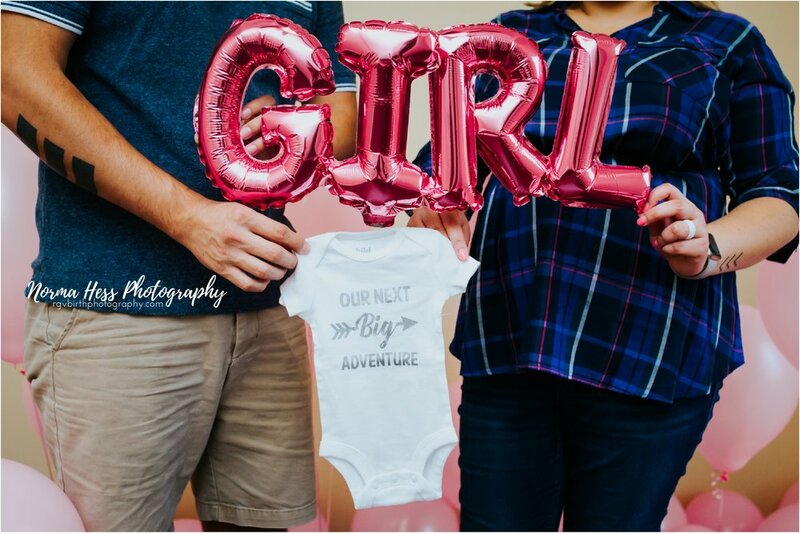 I'll be cheering for these two sweet parents as the adventure continues.